Objective: Resite and remodel a 1970’s factory built home to take advantage of views of Mount Palomar, update finishes, and transform the aesthetics and vibe of the home to fit its unique locale. The property of 7 acres sits on a ridge with long vistas looking mostly east and west. 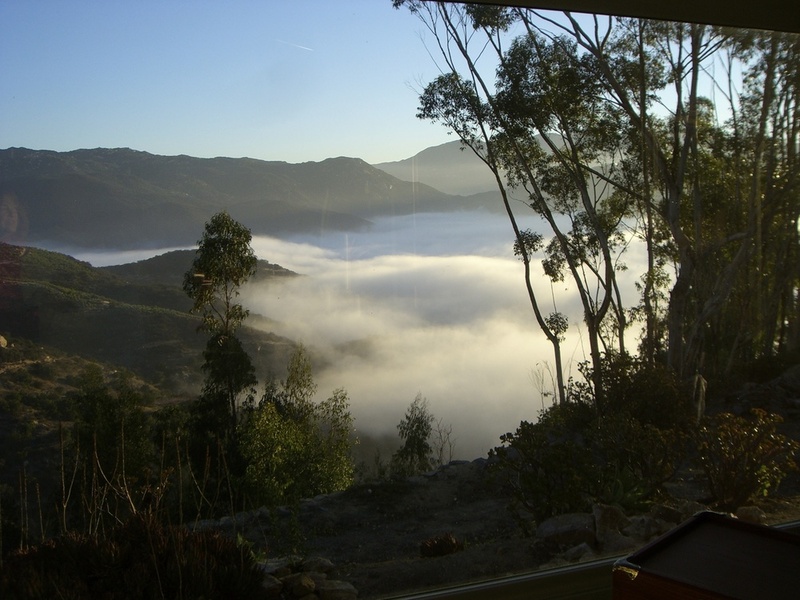 This land has easterly and southerly views with a prominent focus on Mount Palomar, the tallest in San Diego county and which houses an astronomical observatory. The home was well constructed but was in need of updated finishes. Not being designed for the specific site, the home did not take advantage of the views from the indoors. Results: Opening the home to the views which surrounding it is what drove this renovation. We replaced original finishes using natural materials and non-toxic products. We were also able to significantly improve the home’s energy efficiency. 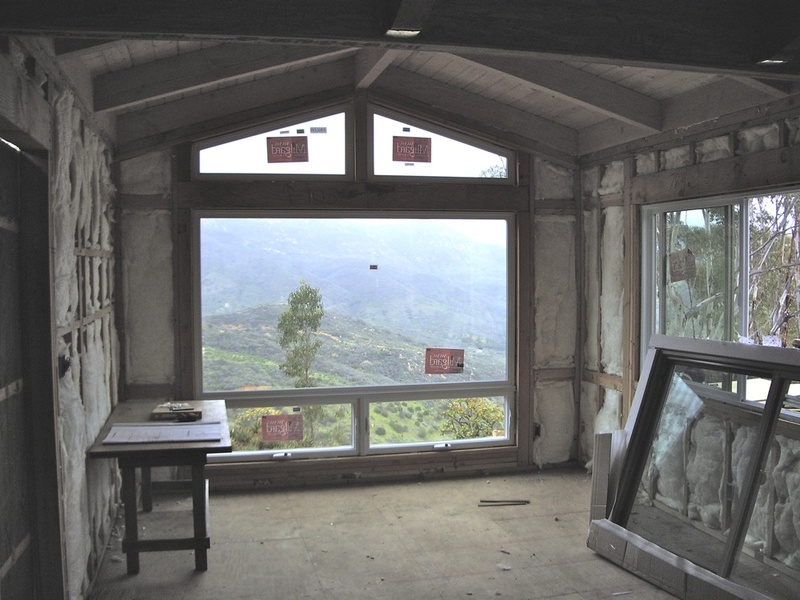 A new dining room addition takes advantage of the stunning view of Palomar mountain and the San Luis Rey River Valley. 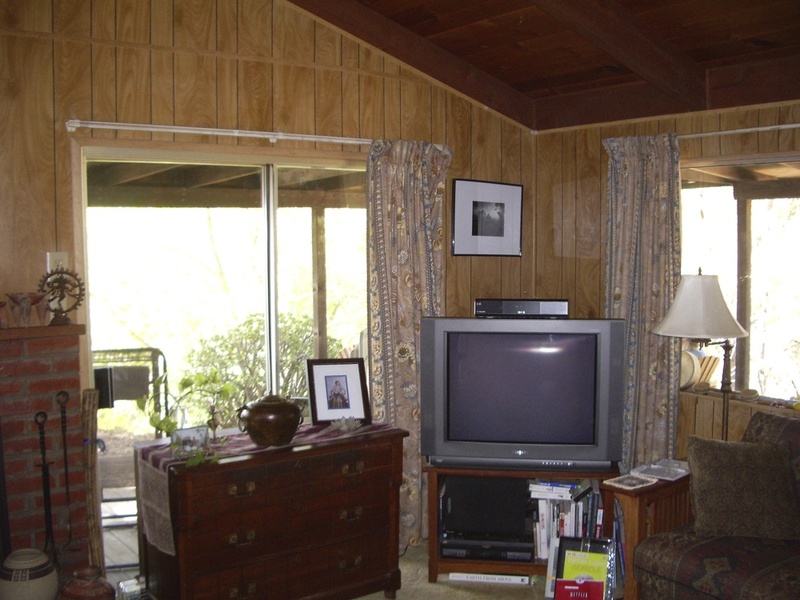 We kept beautiful plank and beam ceilings but replaced dated paneling with drywall, choosing non-toxic, lightly colored paint and bamboo floors. We replaced the existing brick fireplace surround with natural stone. In the kitchen, we added skylights and cabinets which the customer had crafted. The owners only complaint is that their guests never want to leave! A dining room addition was conceived to take advantage of the stunning view of Palomar mountain and the San Luis Rey river valley. The view from the dining room with low clouds in the river valley. Before: Ugly paneling on walls but beautiful plank and beam ceilings that will feature nicely with light color drywall walls. After: Light colored walls, bamboo floors, new fireplace surround. Before: A kitchen in need of a makeover. After: Skylight shows off owner crafted cabinets. Before: window on left is where dining room addition will be constructed. After: Light walls really make the wood ceilings come to life. After: Large glass areas to take in the surroundings. The view drove the design. Dining room addition during construction.